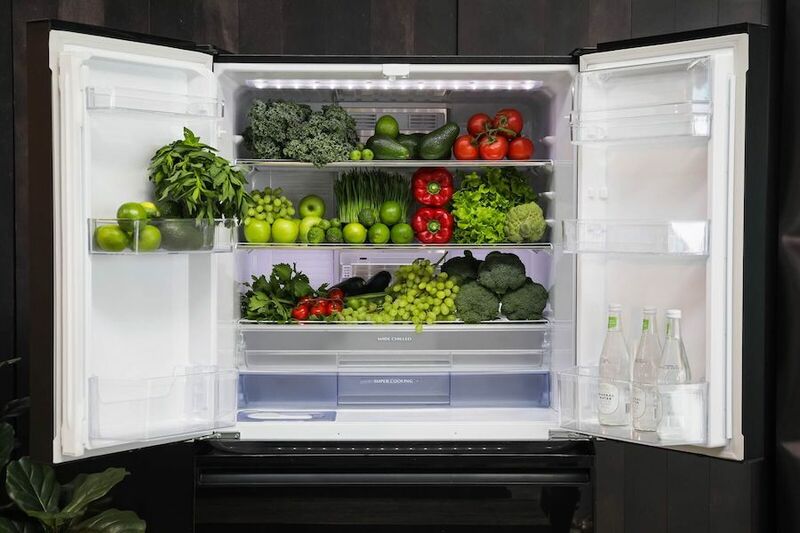 This week, Mitsubishi Electric Australia unveiled their latest generation of fridges and not only are they super sleek, they’ve been specially designed for Australians and our demands. Mitsubishi Electric Australia, with Lonergan Research, researched the changing needs and wants of Australians and presented their findings in the Home Trends Report. The 2018 report reveals a few key trends – the desire for greater energy efficiency, a focus on function and design, and the want for appliances that fit our kitchen design and home renovation goals. 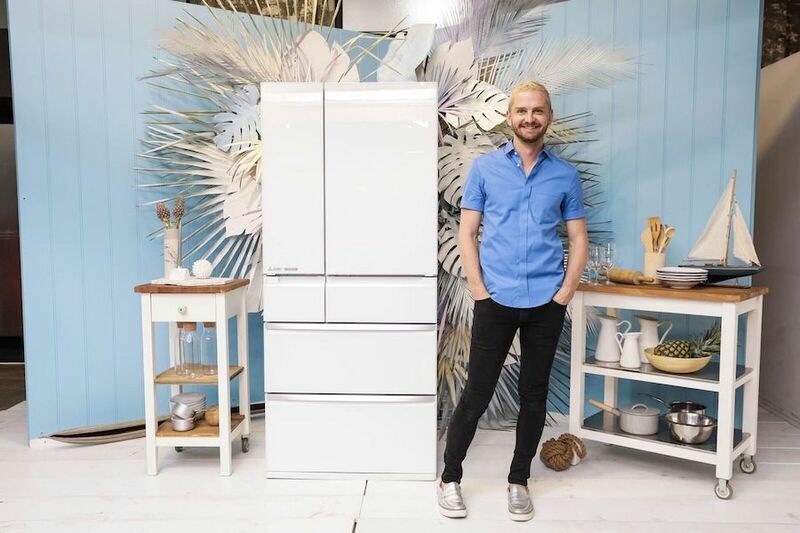 What better way to present these findings and latest fridges than with a fun event in Sydney featuring chef and Mitsubishi Electric ambassador Ed Halmagyi along with stylist Adam Powell, who created incredible in-situ kitchens within the event space. There’s no denying the cost of living just keeps going up and electricity bills account for a big proportion of household bills. The Home Trends Report 2018 found that “Three quarters (77%) of Australians are more concerned now about how the rising cost of energy will impact household budgets than they were 12 months ago”. It’s no wonder then that many of us are already changing our behaviour around the home. The report found that 85% of Australians have already altered their domestic duties to reduce household energy consumption, such as replacing light bulbs with energy-saving ones (62% of Australians have done this) or reducing air conditioning and heating usage. Knowing this, Mitsubishi Electric Australia have taken advantage of latest technology advances to increase the energy efficiency of their fridges. “The demand for appliance options that save Australians cash in the long run has boomed in the past 24 months. 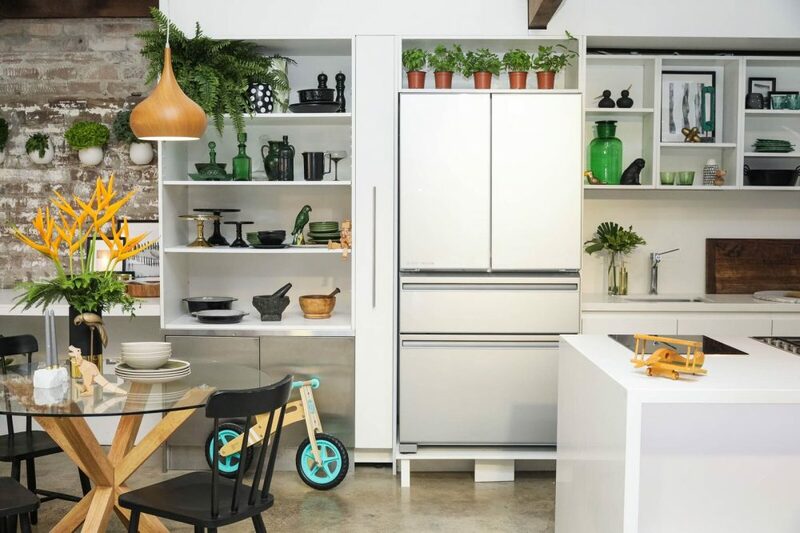 We’re proud to have launched two new fridge models with high energy efficiency,” says Jessica Millard, Marketing & Communications Manager, Mitsubishi Electric Australia. In fact, more than one in four Australian families are now replacing their appliances with items that are more energy efficient and it seems this demand is only going to increase. Another key finding in the Home Trends 2018 report was the rise of home cooking – 38% of Australians are cooking at home more frequently than they were 12 months ago. And the type of foods we’re cooking is less of the ‘meat and three veg’ and now defined by high quality, fresh food and great company. With the rise of home entertaining comes the need for appliances that can meet this function – offering sufficient space for meal preparation and storage, particularly the ability to freeze food to reduce food wastage. For example, 29% of millennials are increasing the amount of food they prepare in bulk for meal storage. The final theme to emerge was our growing appetite for home improvement and keeping up with interior trends. It seems every second show on TV is a home renovation or design show and it’s having an influence on us! With kitchens very much at the heart of modern homes, our desire for dream kitchens also includes a desire for modern appliances that complement these spaces. Mitsubishi Electric has certainly met this need with their latest generation fridges that feature a sleek exterior with flat profile, integrated handles, and the choice of several colours. 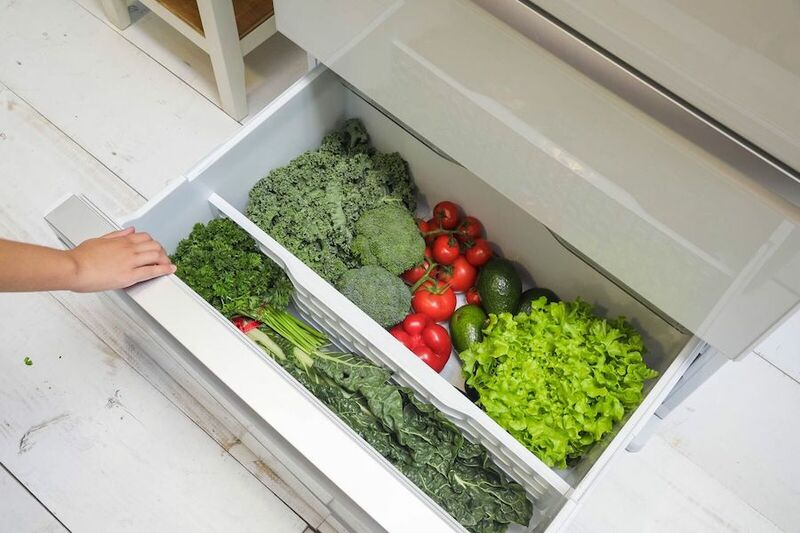 What’s even more impressive though is the interior, with adjustable door shelves, sliding chilled case, three-way flexible shelf system, ergonomic design, deep vegetable and freezer drawers and more. It was interesting to us to see how an appliance company invests in research to understand their local market and develops technology to meet these needs. 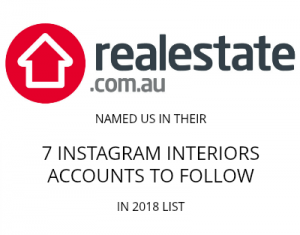 Overall, the report showed Australians are considered consumers who are conscious of costs but enjoy a stylish home filled with family and friends. You can find out more about the new generation Mitsubishi Electric fridges on their website here.